Alison’s shady ex needs to use her haunted guesthouse as a hideout in the latest from the national bestselling author of Ghost in the Wind. Where Alison Kerby’s ex-husband goes, trouble follows. This time, unfortunately, he’s brought that trouble right to her doorstep. On the run from a business deal gone bad, Steven, aka “the Swine,” owes some scary people a staggering sum of money. No need to panic, though. He has a plan: Sell Alison’s Jersey Shore guesthouse to pay them off. 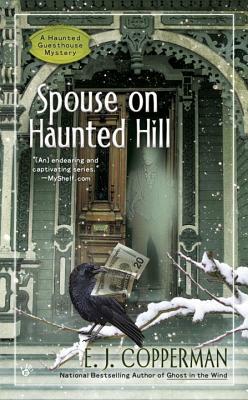 E. J. Copperman is the Barry Award–winning, national bestselling author of the Haunted Guesthouse Mysteries, most recently Ghost in the Wind, Inspector Specter, and The Thrill of the Haunt, as well as the novellas A Wild Ghost Chase and An Open Spook.